One of the key members of the near all-conquering Audi Sport team is set to move on after the 2016 Le Mans 24 Hours. 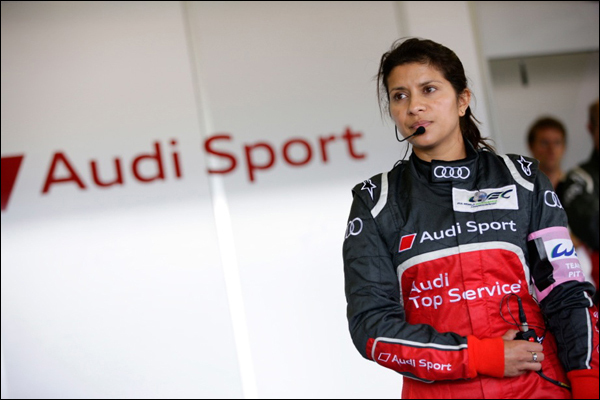 Leena Gade has engineered Audi to three Le Mans 24 wins and an FIA World Endurance Championship in a career with the marque that is now in its tenth year. After two seasons working on Audi’s North American campaigns (where she assisted Howden ‘H’ Haynes in engineering Allan McNish to the title in her debut year, Leena moved to the factory programme, at the time working as a contractor from Progressive Engineering though in more recent years she moved to Audi Sport as a full employee. Whilst a very familiar figure in the paddock her public profile grew immeasurably after her key role in the full team effort that is the Le Mans 24 Hours received wider exposure through her appearances in the Truth in 24 II film following the epic 2011 Le Mans 24 Hours. In 2012, she won the FIA World Endurance Championship’s ‘Man of the Year’ and she is also an Ambassador of the FIA Commission for Women in Motorsport. Leena is known to be bound for a motorsport role with Bentley on their customer programmes, not with MSport, and specifically NOT linked with any future programmes, but rather in a managerial role.